Will sports wagering – the legal variety – come to New York? ALBANY – Forget wagering on March Madness at the office or a bar. And say goodbye to bookies and illegal, offshore Internet for your straight, parlay, teaser and whatever array of wagers made on pro and college sports. It could all be done – legally – on your phone or laptop or at a casino if the next potentially massive wave of government-sanctioned gambling – sports wagering – comes to New York. And it could happen as early as the first snap of the NFL season this fall. The decision whether New Yorkers will be able to place perfectly legal bets on pro and college sports contests is, first, up to the U.S. Supreme Court. The high court by May is expected to rule on a case that could strike down a 1992 federal law that has effectively limited sports wagering to Nevada and, in more limited ways, Delaware, Montana and Oregon. Some New York officials are not waiting, though. They already are trying to position the state to open the floodgates to sports wagering if the court rules in a way that expands states’ rights to offer the gambling platforms. And, as seen with past gambling expansion efforts in New York over at least the past 50 years, backers are again tapping into a well-used claim to have state-sanctioned sports wagering: It’s a way to shift existing illegal sports betting activities to a regulated, legal system – and one in which the state government takes a cut. “There is a great demand in New York for being able to bet on sports, and there’s quite a bit of illegal sports betting going on that’s not regulated and not taxed. If the Supreme Court overturns the ban and allows states to get involved in sports betting, I think we’ll do it,’’ said Sen. John Bonacic, an Orange County Republican who is chairman of the Senate’s racing, gaming and wagering committee who recently sponsored an omnibus bill to legalize sports bets. Assemblyman Gary Pretlow, a Westchester Democrat and chairman of the Assembly’s racing and wagering committee, said he is working on his own version of the sports gambling bill. “Betting on sports has been around for a very long time and all of it’s been illegal. There are not many people who travel to Vegas just to make legal sports bets,’’ Pretlow said. Both veteran lawmakers have successfully pressed for expanded gambling in New York over the years. Among the major bills they have sponsored together was the 2013 legislation expanding casino gambling and the 2016 law allowing daily fantasy sports betting. In 2013, the state approved the expansion of commercial casino gambling. Four casinos have since opened, with the nearest to Western New York located in Seneca County. Within that authorization was a provision allowing those new casinos to offer sports wagering – if Congress or federal courts sanctioned such betting by rescinding restrictions now in place on states such as New York under the 1992 Professional and Amateur Sports Protection Act. That act was intended, in part, to address concerns about the influence of gambling on the integrity of sports. The 2013 state law means that if the Supreme Court opens up sports wagering that those four casinos could apply to the state Gaming Commission for sports betting licenses – with or without passage of Bonacic’s bill or some compromise legislation. That 2013 law states that the Gaming Commission must “hear and decide promptly and in reasonable order” sports betting license applications from one of the four casinos if, in this case, the Supreme Court knocks down the federal prohibition. A spokesman for the Gaming Commission, which regulates gambling in New York, declined to say if state officials have taken any initial steps to prepare for possible sports betting in New York. But the casinos are ready. At Resorts World Catskills in Sullivan County, the state’s largest and newest commercial casino, its owners already have set aside space inside the facility to convert to a sports book facility, if legalized. “Senator Bonacic’s bill will create a significant revenue opportunity for New York State,’’ said Charles Degliomini, executive vice president at the Catskills casino that just opened last month. At del Lago Resort and Casino in Seneca County, where casino revenues have not been nearly as high as first projected, executives are hopeful for a sports betting okay. “Del Lago is prepared to quickly set up a sports wagering area in the casino if sports wagering is legalized in New York,’’ said spokesman Steve Greenberg. Under the law enacted in 2013, sports gamblers would have to travel to those casinos if sports betting is legalized. Under the Bonacic bill, though, gambling would be opened to the internet. The pending measure would allow the four casinos to have “affiliate” deals with off-track betting corporations that now accept wagers on horse racing, as well as tracks that offer betting via slot devices called video lottery terminals. The OTBs and tracks would be places where bettors could go – instead of traveling to one of the four casinos located in Seneca County, the Catskills, Schenectady and Tioga County – to sign up for one of the casino sports wagering platforms. Once enrolled, bettors could then place their sports wagers on computers, smart phones or tablets located anywhere within New York State. And unlike the 2013 law that restricts possible future sports gambling in the state to pro sports, the Bonacic bill opens it up to collegiate contests, as well. High school sports wagering would be banned. Though not specifically spelled out in deals with the state, some state officials and gambling industry lobbyists believe an introduction of sports gambling in New York would also pave the way for in-house sports betting at Native American casinos. A spokesman for the Seneca Nation of Indians, which owns three casinos in Western New York, would not answer any questions about the matter. A spokesman for the Oneida Nation, which runs three casinos in central New York, would say only that the issue is being studied. The issue is coming to a head now as the gambling world awaits the Supreme Court’s decision. The case goes back to former New Jersey Gov. Chris Christie’s attempt to bring sports gambling to that state and its Atlantic City casinos that have seen deteriorating financial conditions over the years. Pro and collegiate sports leagues in 2012 filed suit to block the plan; the Supreme Court in December heard oral arguments in the case and a decision is expected in the next couple of months. • The 1992 law remains intact. • A narrow decision that rules in favor of New Jersey but not on constitutional grounds will all but halt current legislative efforts in New York and nearly 20 other states looking at sports wagering. • Overturning the federal law, which he believes is the likely outcome. “This is going to open up gaming in New York to a broad new class of customers," Wallach said. 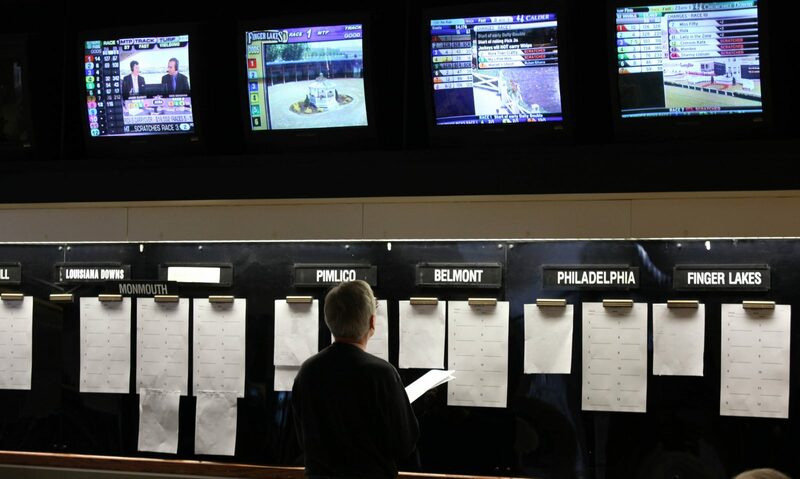 "… There’s incredible demand, not only for sports generally, but for sports wagering." The Florida lawyer said the four casinos – which could grow in the coming years – would have to strike deals with pro sports leagues if they want to offer more complex wagering that involves the sharing of data from the leagues. The casinos could do more simple sports wagering – like bets on the outcome of a game – but would still have to pay a percentage of wagers to the leagues. Those stakeholders include sports leagues, which would get a quarter of 1 percent of each sports wager for what the bill and industry calls an “integrity fee.’’ The state, Bonacic said, could see up to $50 million in sports bet taxes, which would be set at 8.5 percent of revenues. And the casinos, operating in a saturated market for slots and table games, would get a new way to make money. Sports leagues were pressing to get 1 percent of each sports wager in New York. A spokesman for the Pegula Sports and Entertainment, a holding company that owns the Buffalo Bills and Buffalo Sabres, declined to comment on the legislation or the sports wagering issue. Bonacic said pro sports leagues have not yet committed to him that they support his bill. Meanwhile, some tracks with video lottery terminals want in if sports wagering starts up. 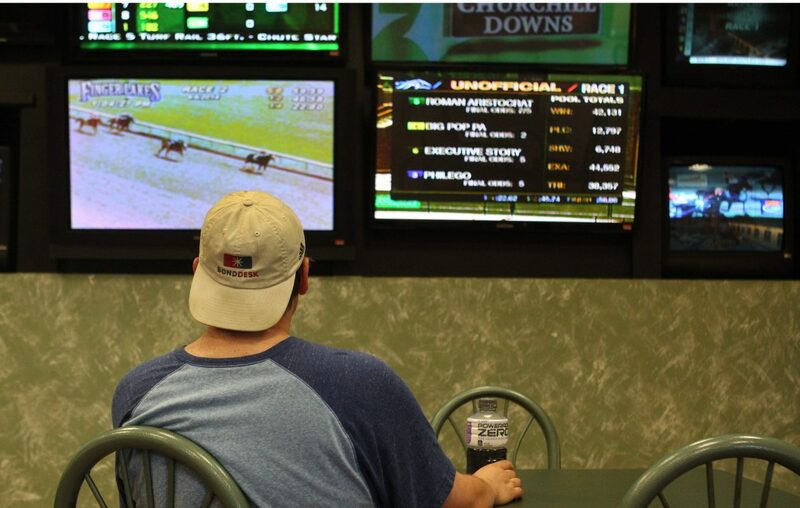 Western Regional Off-Track Betting, which is owned by 15 area counties and the cities of Buffalo and Rochester, already had made a pitch that it be permitted to start sports gambling if it is legalized in the state. Some lawmakers believe that would take another change in the state constitution, a multi-year process. The Bonacic bill envisions limited, kiosk-wagering on sports at those locations. Shafer said the margin of victory-type betting could open sports contests to bribery and coercion, which was the original concern of some backers of the 1992 federal law. “Declaring an activity ‘legal’ so the state can take a share of the proceeds does not make that activity fair or just,’’ Shafer added. Bonacic pushed back against gambling critics, saying the demand will be overwhelming for legal sports wagering. “That horse left the barn years ago,’’ Bonacic said of concerns about gambling expansion in New York state.